Soak sago in water and drain the water and keep aside. In a bowl combine the yogurt (see that yogurt is little sour in taste) salt, soda, maida, cumin seeds, curry leaves, green chili pieces, and sago. Mix all the ingredients thoroughly into a thick batter. Now heat oil for deep frying . 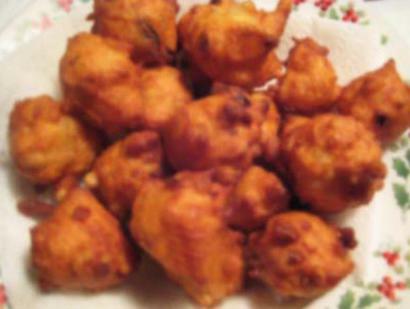 When the oil is hot, drop a little mixture (about a tsp) and fry the fritters until golden brown. Serve hot with coconut chutney or ginger pickle.